Organisational psychologists are experts in human behaviour in the workplace, having extensively studied the brain, performance, learning, group behaviour, and the processes determining how people think, feel, behave and react, and the impact of these on organisational outcomes. Working with the Science-Practitioner model, we apply our expertise using reliable and scientifically supported methods to assist organisations achieve their business goals. Effective practice often also impacts positively on employee wellness and health. The aim of the Professional Issues section is to assist practitioners to delivery high quality services. We currently have some best practice guidelines in key areas and are working on reviews of commonly used tests and questionnaires. Key learning points from complaints to the Society and Board are also being drawn up. 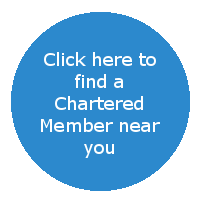 ‘Chartered’ members have completed a honours or Masters degree specialising in Organisational Psychology, and have been supervised in their practice to ensure they are applying their knowledge effectively. Chartered members are also required to undergo ongoing professional development, and comply with the ethics involved in this practice.